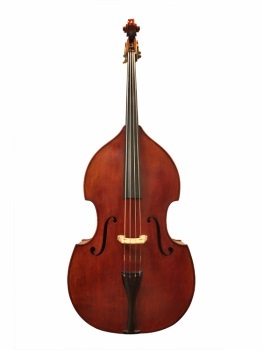 This handmade, fully carved bass form Beijing features wonderful tone and craftsmanship. Although comparable to 416 and 418 the Model 412B is made using plain materials to reduce the cost. Adjustment includes ebony tailpiece, bridge adjusters, high quality endpin, and Helicore Orchestral strings.